It was a week that saw pretty much all types of weather that came through Calgary, Alberta but it didn’t stop the BC Teams from making stops at the podium! It was a banner day for the British Columbia Men’s “A” Team as they would take home the Gold Medal and the title of the 2018 Canadian Senior Triples Champions. The Team skipped by Stephen Yung, Clement Law and Stanley Chow would breeze through the round robin play at 8-1 with their only loss coming to BC “B”. Finishing top of the table would have them set to play Ontario “B” in the final. The would make quick work work cruising to a commanding 19-7 victory. 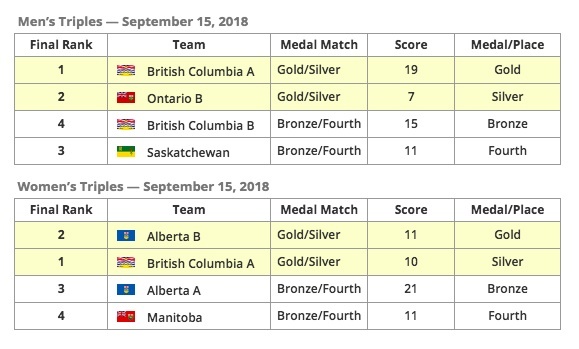 In the Bronze Medal game it was British Columbia “B that would take on Saskatchewan, who beat them by whopping score of 20-7 in the round robin. The fellas would regroup to put together a stellar game and win the Bronze Medal match 15-11 to hit the podium. In the Women’s category, it was a tough pill to swallow, as the ladies were the cream of the crop all week. They would not lose a game and basically was demolishing all the competition as they would go 9-0 through the round robin play. Their closest game was actually against British Columbia “B” 18-14. The sport can be cruel at times and this is one of the moments as they BC ladies would lose a heartbreaking final to Alberta “B” who was 6-2-1 in the round robin. A back and forth game that would eventually finish 11-10 for Alberta B in the end. 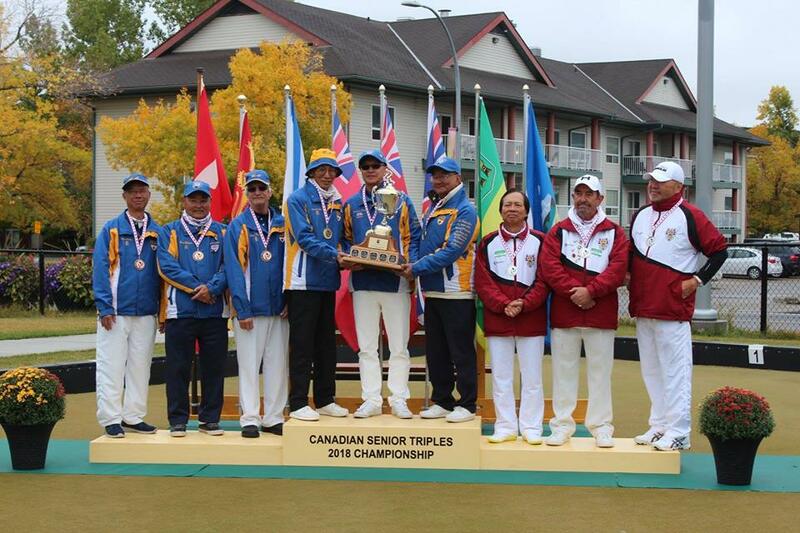 The Bronze Medal would be won by Alberta “A” as the would beat Manitoba 21-11 to win the Bronze Medal. Congratulations to the BC players who played amazingly well all week, you did us proud both on and off the greens. A thank you to the Calgary Lawn Bowling Club who did a great job in hosting the event. Thank you to David Mathie for all his time and efforts at this tournament. Also to the umpires who contributed their time throughout the event.